With over 100 years of history in the sports industry, HAMMER has become a well-known brand. Its numerous patents are an indication for the company's achievement and capability. HAMMER FITNESS develops products that are just what the market demands – cardio and strength-training equipment that are functional and easy to operate. 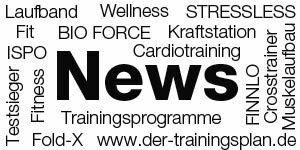 Our product range includes cardio equipment (ellipticals, ergometers, stationary bikes, treadmills and rowing machines), multi-gyms and various training benches plus accessories such as barbells and weights. Small equipment such as abdominal and back trainers round out the product range. HAMMER is an international brand registered under Class 28 (toys and sporting goods) and is successfully sold in over 50 countries. 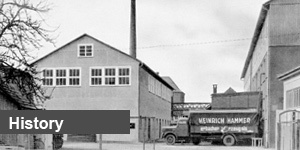 In the beginning, the company manufactured sleds under the HAMMER brand, tennis rackets and skis under the erbacher brand. Since 1989, however, its product range has shifted exclusively to fitness equipment. It all started with making the world's first fillable plastic dumbbell. That same year, the company developed special "aerobic weights" for renowned actress Sydne Rome, who brought the fitness trend to Europe. This was followed by different series of cardio equipment and multi-gyms, such as the popular wooden Woodpecker series. 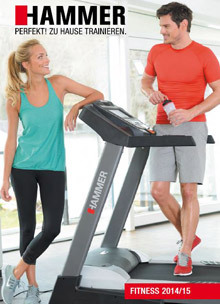 Over the years various fitness ideas have been incorporated into HAMMER products. 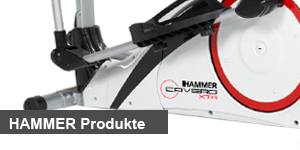 For instance, HAMMER was one of the first manufactures using the latest technology from mountain bike design and make stationary bikes with torsionally stiff ovular steel tubes, thereby revolutionizing frame geometry. In 2001, the "Explorer" ergometer with integrated scale was released followed by innovative training computers featuring laptop design and fitness equipment with 3D saddle motion. HAMMER also set standards in the strength-training arena. The Corner Gym (2001) series of multi-gyms used 60% less space than conventional multi-gyms, meeting the customer demand for highly functional, yet compact fitness equipment for their own home.